Venue: Arusha, Dar es Salaam and Mwanza, Tanzania; Nairobi, Kenya; Kampala, Uganda; Lusaka, Zambia; Lilongwe and Blantyre, Malawi; Harare, Zimbabwe; Windhoek and Oshakati in Namibia; Mbabane, Swaziland; Maputo, Mozambique and Mahe, Seychelles. Payment Details: Total fees for the 2-year Masters degree programme is US$7,000. Advance payments are made annually or per semester by arrangement. The fees cover tuition and limited materials. It does not include textbooks among other exclusions. This programme aims to meet the growing needs of African public and private sector enterprises in the area of project management. Investors and managers are becoming more concerned with the use of scarce and often difficult to mobilize financial resources. Meanwhile, there has been an increase in the demand for and management of quality public and private sector investments. This course will develop an in-depth understanding of different approaches to development planning and economic policy issues, with thorough training in techniques for the planning, design and economic analysis of African development projects and programmes. There is a strong emphasis on issues and analytical techniques relating to choices in project design and cost-benefit analysis. Environmental analysis will be covered in detail to reflect the need for the better management of natural resources. The MSc Project Management programme is offered in the evenings from 5:00pm - 10:00pm. Classes run for two to three weeks in every two and a half to three months. 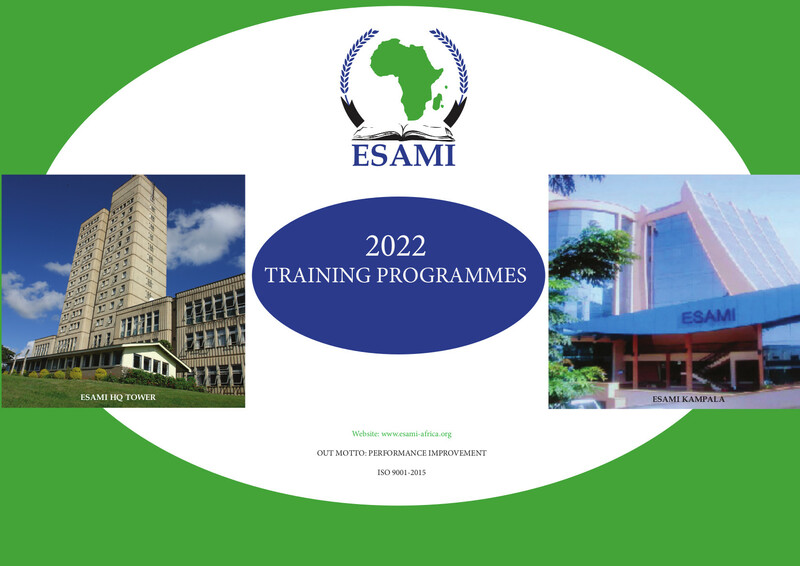 The evening class MSc Project Management is offered in the ESAMI member countries in the following venues:- Arusha, Dar es Salaam and Mwanza, Tanzania; Nairobi, Kenya; Kampala, Uganda; Lusaka, Zambia; Lilongwe and Blantyre, Malawi; Harare, Zimbabwe; Windhoek and Oshakati in Namibia; Mbabane, Swaziland; Maputo, Mozambique and Mahe, Seychelles. Total fees for the 2-year Masters degree programme is US$7,000. Advance payments are made annually or per semester by arrangement. The fees cover tuition and limited materials. It does not include textbooks among other exclusions. Bachelor's degree from a recognized University or equivalent qualification.